The Declaration of Independence was adopted in 1776 in this fine 18th-century building in Philadelphia, to be followed in 1787 by the framing of the Constitution of the United States of America. Although conceived in a national framework and hence of fundamental importance to American history, the universal principles of freedom and democracy set forth in these documents were to have a profound impact on lawmakers and political thinkers around the world. They became the models for similar charters of other nations, and may justly be considered to have heralded the modern era of government. Independence Hall is one of the few cultural World Heritage sites in North America which is not related to native Americans. Visiting the site is very easy as it is in the city center of Philadelphia. 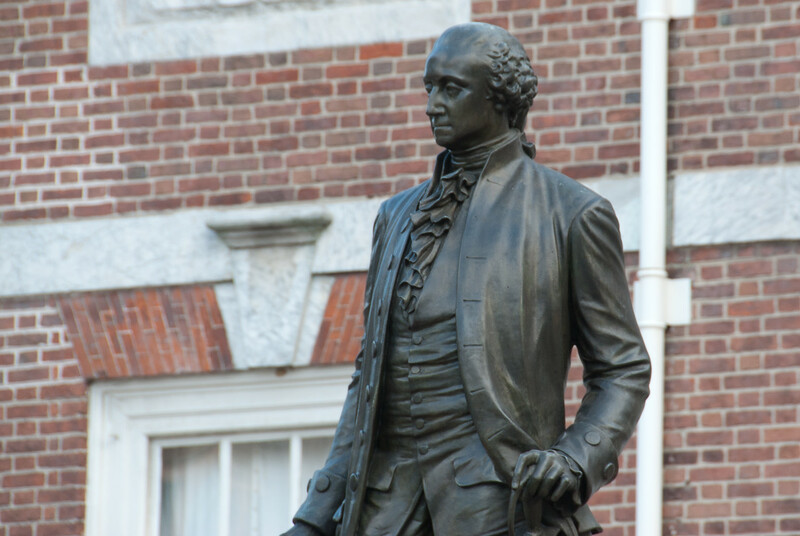 Within walking distance, you can also see a number of other historical attractions including the Liberty Bell, Ben Franklin’s home and the Tomb of the Unknown Soldier from the Revolutionary War. 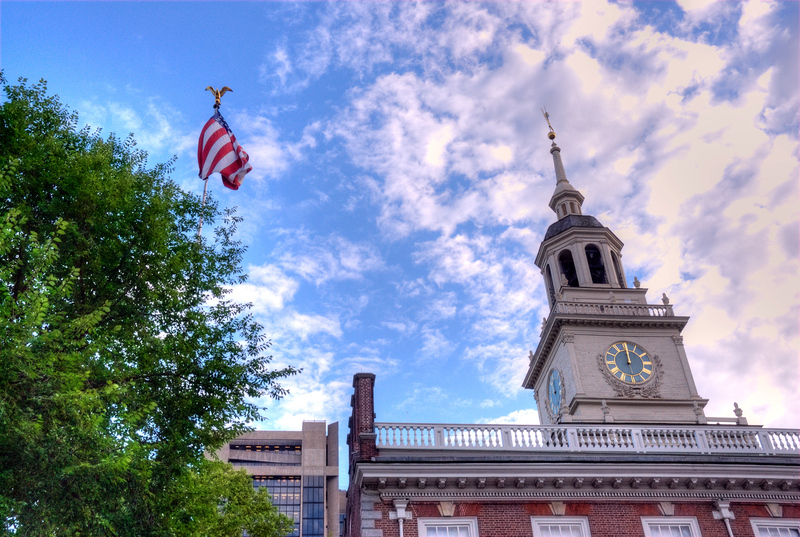 The Independence Hall is one of the most recognizable landmarks in the US. This building is a UNESCO World Heritage Site and is listed into the National Register of Historic Places and National Historic Landmark. This is the building wherein the United States Constitution and the United States Declaration of Independence was debated and signed. Hence, it is a historic landmark in the formation and the early history of America. This building is the centerpiece within the Independence National Historic Park, which is one of the National Park Service Sites in Pennsylvania. The Independence Hall features a Georgian architectural style and is a work of Architect William Strickland. This building sits on the 51-acre property. The building was completed in 1753 and became the principal meeting place for the Second Continental Congress from 1775 to 1783. It was also the same venue for the Constitutional Convention in 1787. And as such, it is known as the birthplace of America. The Declaration of Independence and the US Constitution are two documents that uphold the universal principles of democracy and freedom in America. These same documents have influenced lawmakers from all over the world. When the building for the now Independence Hall was first constructed, this is where all three branches of the colonial government in Pennsylvania were conducted. This is where George Washington was appointed as the Commander in Chief of the Continental Army in the late 18th century and where Benjamin Franklin gazed upon the “Rising Sun” chair. Meanwhile, important documents such as the Articles of Confederation were also signed here. The building consists of many different rooms that serve their individual purpose. The Assembly Room is where the US Constitution and Declaration of Independence were both signed in. This room was later converted into a shrine that helped establish the nation. In fact, within this room, you will find a painting of the Founding Fathers along with the Liberty Bell. Another important part of this building is the Courtroom of the Pennsylvania Supreme Court. Today, this supreme courtroom was turned into a museum and is open for visitors who wanted to get a glimpse of the past and how the judiciary branch worked. The museum also houses important artifacts related to the founding of America. 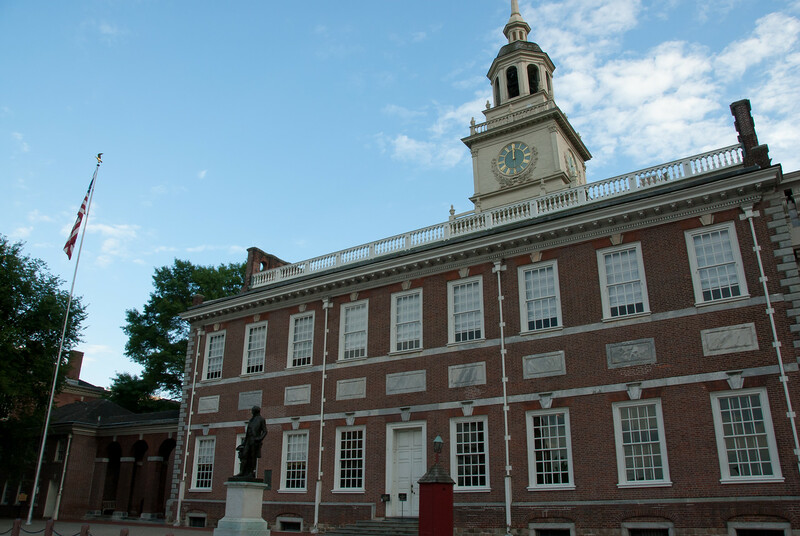 During tours within the Independence Hall, here are other key rooms that are explored by visitors: Long Gallery, Governor’s Council Chamber, and the Committee of the Assembly Chamber. 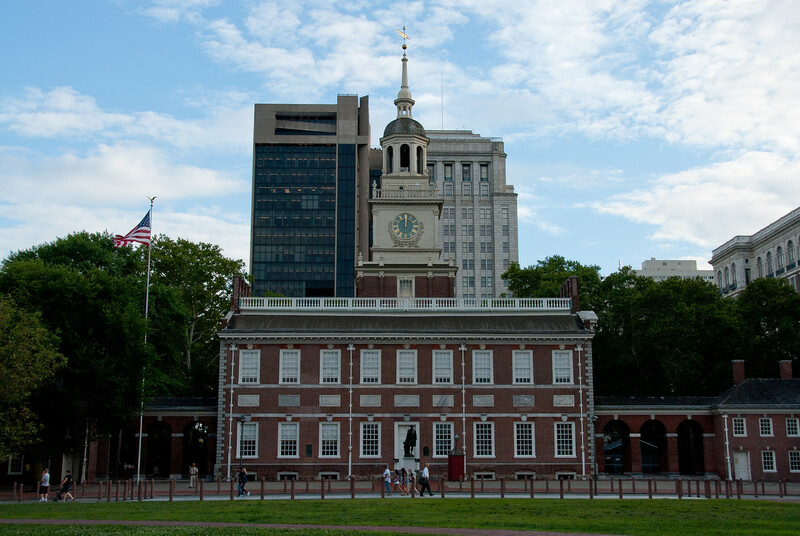 Independence Hall is located on Chestnut Street in Philadelphia. It is located right between 5th and 6th Streets. To enter the Independence Hall, you must pass through a security screening area via Chestnut Street. This is open daily from 9 AM to 7 PM. But on special holidays, it could extend to 8 PM. Entrance is free on Thanksgiving Day, Christmas Eve and Independence Day. Same day distribution tickets are FREE. Only those reserved tickets are charged with $1.50 fee per ticket. Only those with tickets for the tour are allowed entry into the Independence Hall. You can get them at the Independence Visitor Center in the 6th and Market Streets. 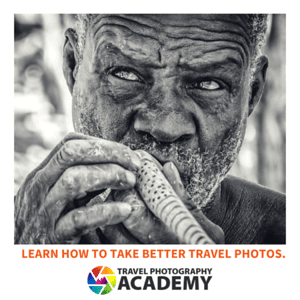 This is the only place where you can get tickets for timed tours. may you be fulfilled in your endeavors … and may God bless !!! !